In honour of World Environment Day on June 5th, we've decided to do a Cute, Crafty Things post with a special twist: recycling! All of the projects that we've listed in this post use primarily recycled and/or thrifted materials. These types of re-purposing projects are awesome for helping to reduce our waste and reuse "tired" items that might still have a bit of life in them, all while upping the cute-factor of our homes, offices and closets. 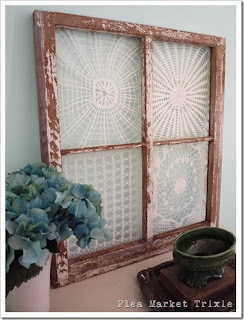 Re-purposed vintage doilies and frames make for some interesting impromptu wall art! 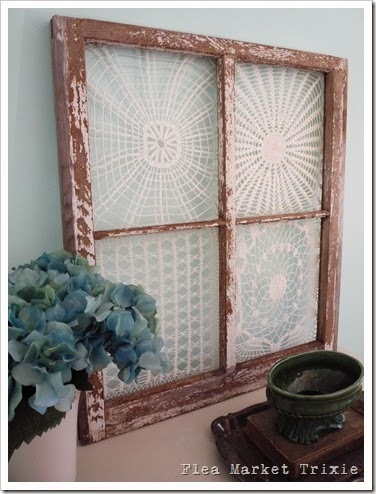 This project comes together in minutes once you've gathered your materials...and what a unique way to display Granma's cherished doilies. 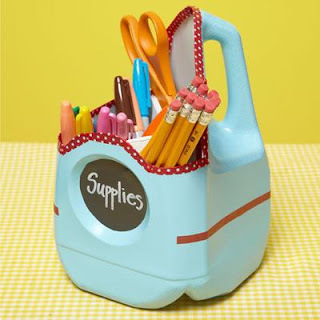 Instead of tossing your next empty milk jug, why not re-purpose it into this handy-dandy supply organizer. This would be perfect on a child or adult-sized desk, or in place of the kitchen junk drawer (...I know I'm not the only one with one of those drawers!). Be honest. How many t-shirts do you have in your closet that haven't seen the light of day in the last year? Perhaps it's time to re-purpose one (or several) of those bad boys into something a little more useable. 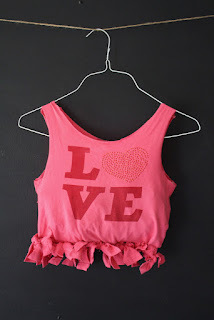 If you're like me, you'll like this one...no sewing required! And to cap it all off, a little DIY using empty bottle tops. 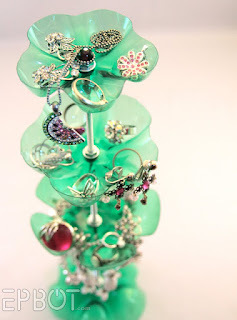 What a cool way to display your baubles and bling. 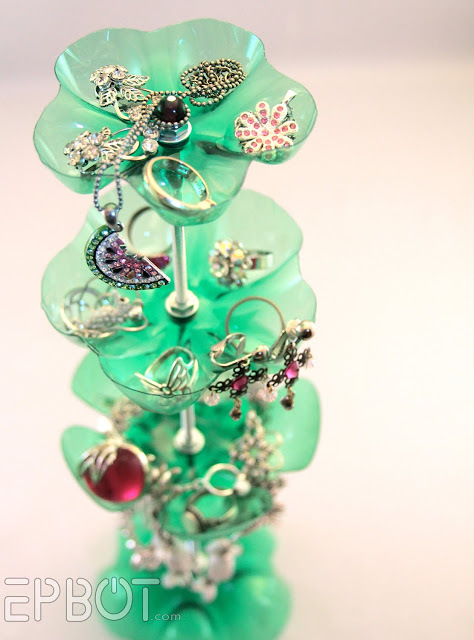 I especially like that the bottom tier is shaped so that bracelets can be hung as well! And there you have it! Did any of these projects inspire you to get crafty with your recycling bin? Tell us about it in the comments below.